The ‘happy-ever-faster’ pace of technology and growing consumer expectations present a constant need for clubs to innovate to stay ahead of the competition and this unlocks fresh opportunities. One of these is the convergence between fitness, fashion, entertainment, theatre, gaming and music, which offers scope for exciting collaborations. Whether it’s Beyoncé launching her own line of gym clothing or tech giants like Apple doubling down on fitness-themed wearables, it seems fusion will play a significant role in the future. 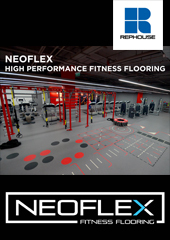 Perhaps the greatest example of this to emerge from the fitness sector has been immersive fitness, an approach which combines the buzz of group exercise with stunning cinema-quality visuals to create a workout experience like no other. 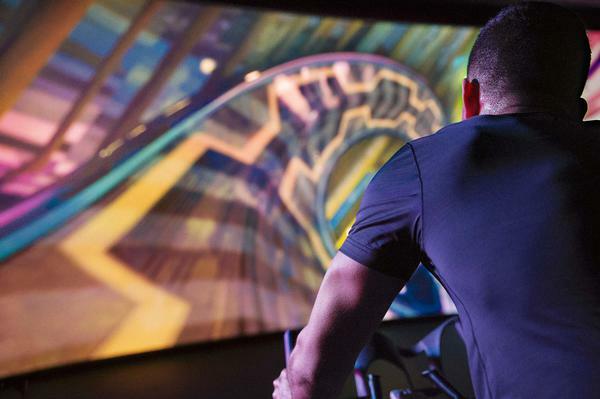 The influence of this trend is starting to show across the industry and includes the theatrical trappings of the new amphitheatre-inspired 1Rebel Studio in London, the fast-improving quality of virtual fitness and recent innovations around CV. However, the catalyst and flag-bearer of the trend remains Les Mills THE TRIP. 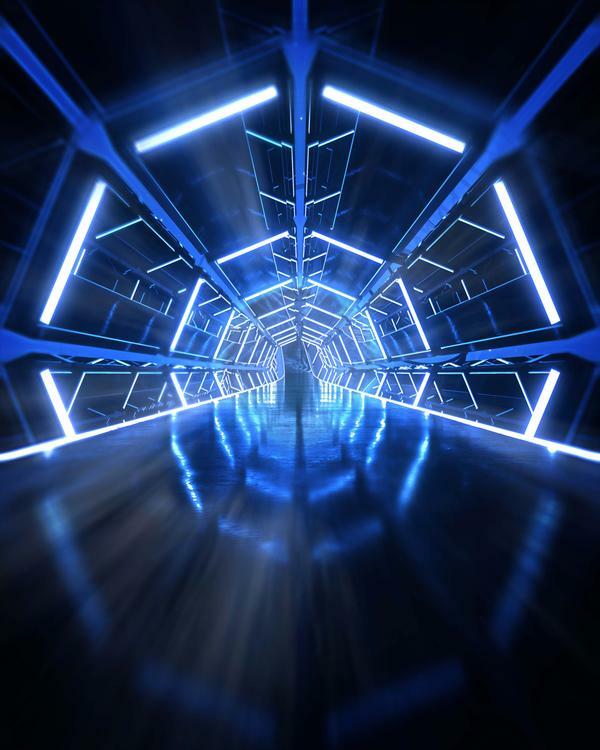 Hailed as the future of fitness, THE TRIP has proven popular with clubs and members alike, with immersive studio installations already established in 70 sites across 29 countries. But what’s driving the immersive trend, how has THE TRIP paved the way, and what impact is it having on clubs? 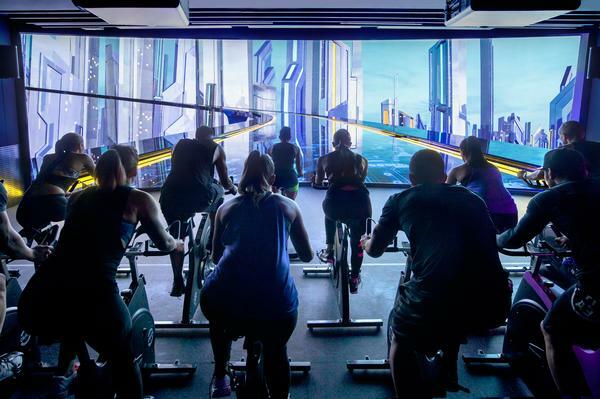 The brainchild of Les Mills Jnr (creative director of millennial programmes at Les Mills) and his friend Adam Lazarus, THE TRIP is an immersive group cycling class which sees participants journey through a dazzling array of virtual worlds displayed on a 270-degree screen: think pumping indoor cycling class in an IMAX theater. “We loved projection mapping and the light shows you see during live music shows, so we wondered if we could bring these elements into a group fitness environment,” Les explains. Taking THE TRIP from that spark of inspiration to a fully-fledged immersive experience required a large team of talents – one which remains in place and has presided over all 14 TRIP releases. Despite the obvious challenges, the experts Les approached to bring THE TRIP to life were swayed by the sheer audacity of the project. “Knowing our work already, Les approached us to help him realise this idea of immersive exercise,” says Mike Mizrahi, director of Inside Out – a leading event production company which oversees both the creative and logistical demands of producing THE TRIP. “We tried a few different classes and it became fairly obvious that the interactive nature of riding a bike meant we could literally take our guests on a wild ride. They would propel themselves through our worlds, uphill, downhill, flying through air, interacting with the film throughout. Each TRIP is generally based around a place (such as Santorini, San Francisco, or Joshua Tree) or a theme like underwater or inter-planetary. But wherever the journey ends, the creative process always begins in the same place. Music is integral to THE TRIP experience and Les will pore over thousands of tracks with the Les Mills music team to compile the perfect playlist. At the start of each project cycle, the creative team will meet in Auckland and Les Mills Jnr will present his vision for the release, outlining storyline ideas, the music tracks that will feature, reference images and the basic structure of the choreography for that class. 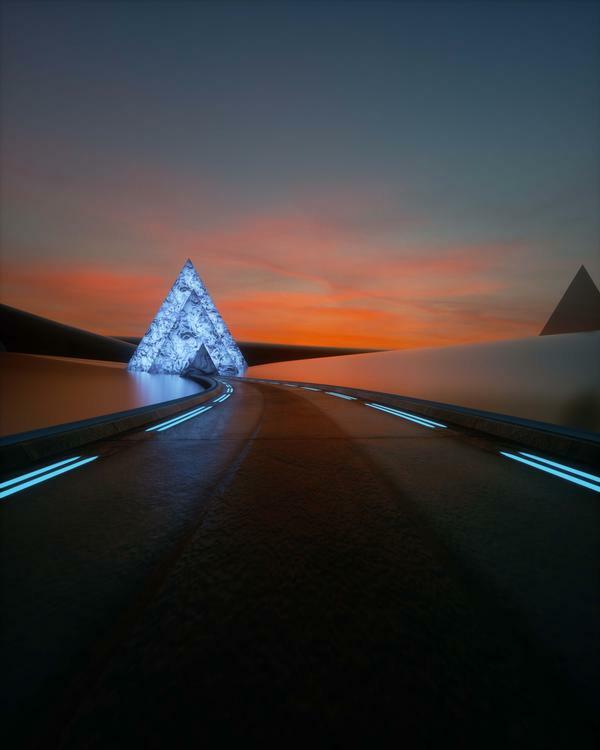 The company’s immersive product manager Chris Richardson then sets about bringing the project to life, working with Mizrahi and Bruce Ferguson, creative director of Darkroom – a New Zealand-based design studio specialising in video and event installations. Each TRIP takes a little less than six months, with a team of seven at Darkroom’s studio working tirelessly on the production, ensuring that every road, hill, turn and backdrop syncs perfectly with the music and workout. The need for four TRIP releases a year means the team will always be working on two at a time, with an in-house render farm working around the clock for most of the year to ensure each TRIP reaches health club studios in time. Looking at the current fitness landscape, it’s easy to see why THE TRIP has had such an impact. With the rise of fitness apps, devices and online exercise solutions, members’ expectations are increasing as quickly as technology evolves. As clubs need to innovate to remain competitive and relevant to their users, the quality of content in their group exercise studio is taking on greater significance, particularly for younger members who value the experience over everything else. 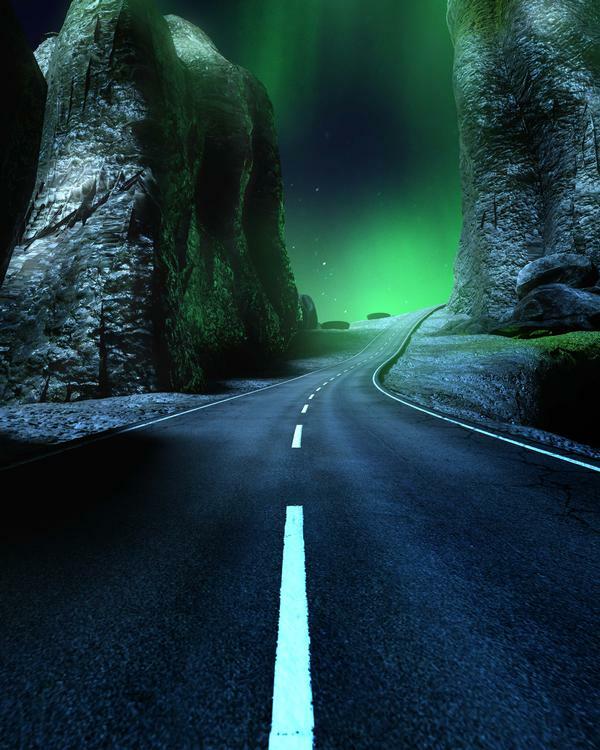 “THE TRIP is a very exciting innovation and it is very now. A classic example of disruption – taking 1+1 and making 5,” says Mizrahi. 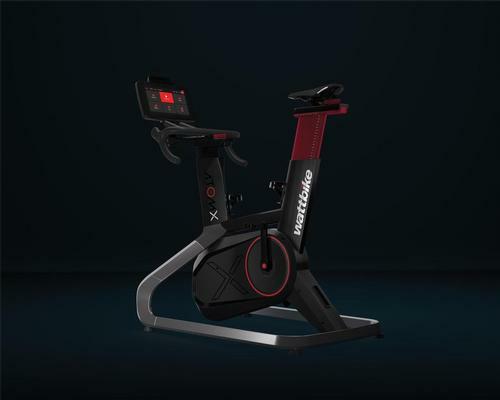 A particularly interesting aspect of the future of immersive fitness will be its impact on wider group exercise classes. 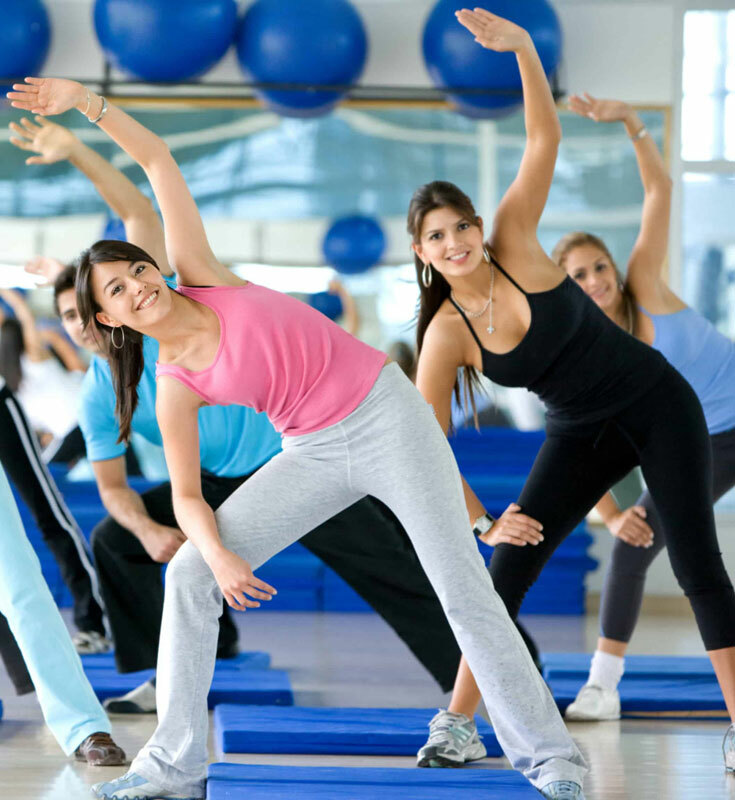 Clubs which have installed THE TRIP have reported significant uplift in their overall group exercise attendances, with the big-ticket class attracting new audiences into their club’s group fitness studio and its broad array of class offerings. “People who’ve never cycled before, or who previously hated it, are now hooked,” says Bryan Jarrett, who as group fitness manager at TMPL in New York City installed THE TRIP. A large part of THE TRIP’s success to date has been its ability to attract new audiences with a fun way to get fit – bringing results without them even realising how hard they’re working. The workout itself delivers everything you’d expect from a Les Mills cycling class. 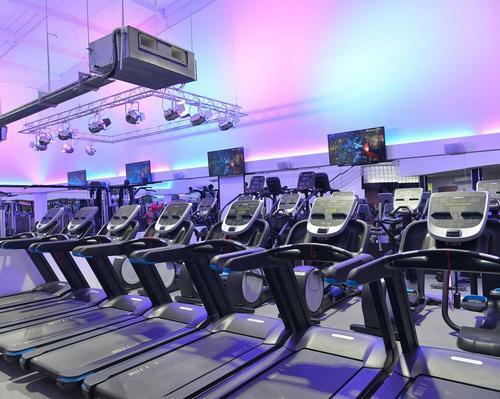 The programming has been designed for consistency and results, moving participants through the heart rate zones to ensure they’re working hard (only 19 per cent of the class is spent in either a light or very light-intensity heart rate zone). But as a recent Penn State University study proved, the cinematic content provides so much fun they forget the sweat and the effort involved.